Ben Gardner is Board-Certified Physician Assistant (PA-C) and board Certified Athletic Trainer (ATC) who specializes in the non-operative treatment of hip and knee joint arthritis, sports medicine and fracture care. Ben earned his undergraduate degree in Athletic Training from West Virginia University. He has served as an Assistant Athletic Trainer for the University of Maryland Terrapins and Towson Sports Medicine. His experiences have provided him the unique opportunity to treat athletes at all levels of competition, from professional to recreational. Ben went on to complete his Masters in Physician Assistant Studies from Towson University. As a Physician Assistant for Towson Orthopaedic Associates, Ben’s skills are utilized both in the clinical setting as well in the operating room as a surgical assistant. His Athletic Training background has given him extensive experience in the education, treatment, and rehabilitation of athletic injuries and conditions. He evaluates and treats acute to chronic orthopedic related injuries. 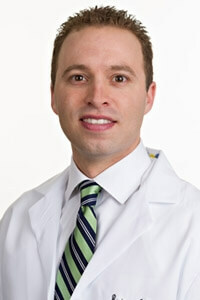 He is committed to providing top quality and compassionate health care to all of his patients.